Note: Requires 3 hours time to chill the cookie dough. In a large bowl, mix the sweetened condensed milk, peanut butter, egg, and vanilla extract together. Gradually stir in the Bisquick mix. 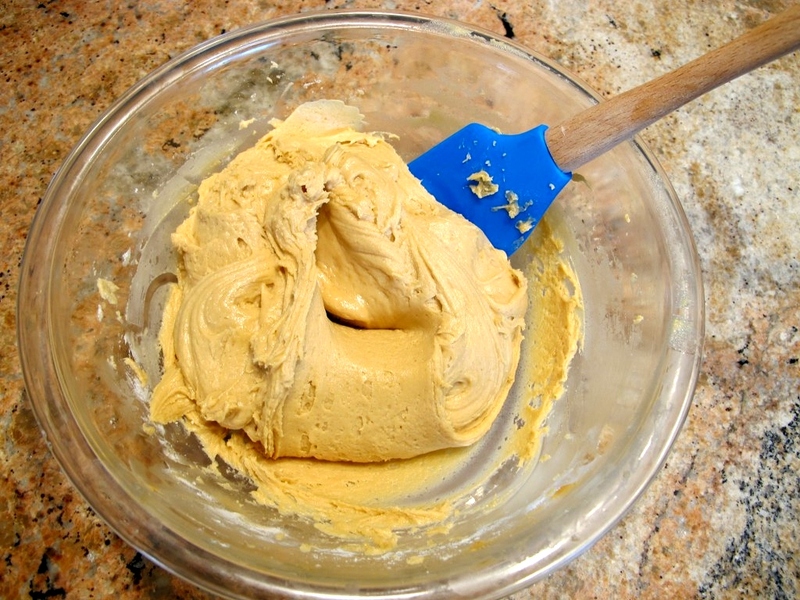 Chill the dough for 3 hours (in order to firm up the dough so you can roll the batter into balls). 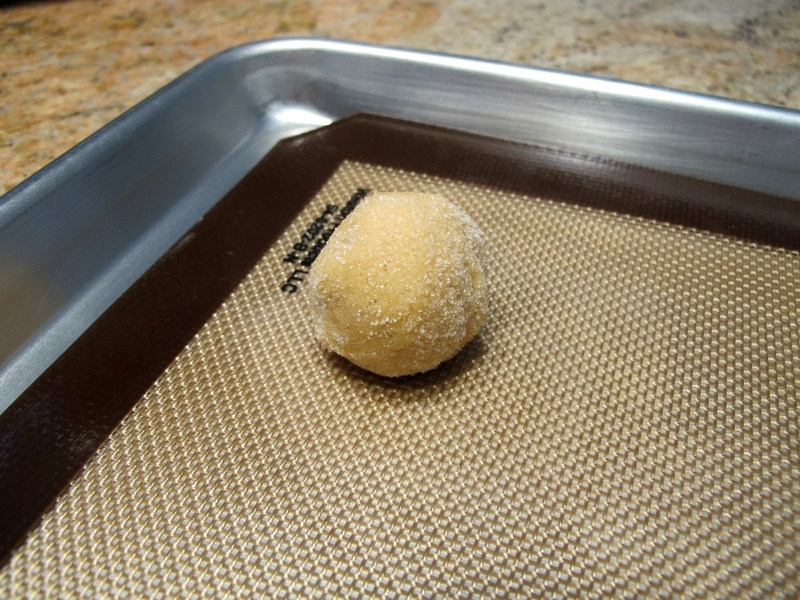 Roll the chilled dough into tablespoon sized balls and then roll them in the white sugar. 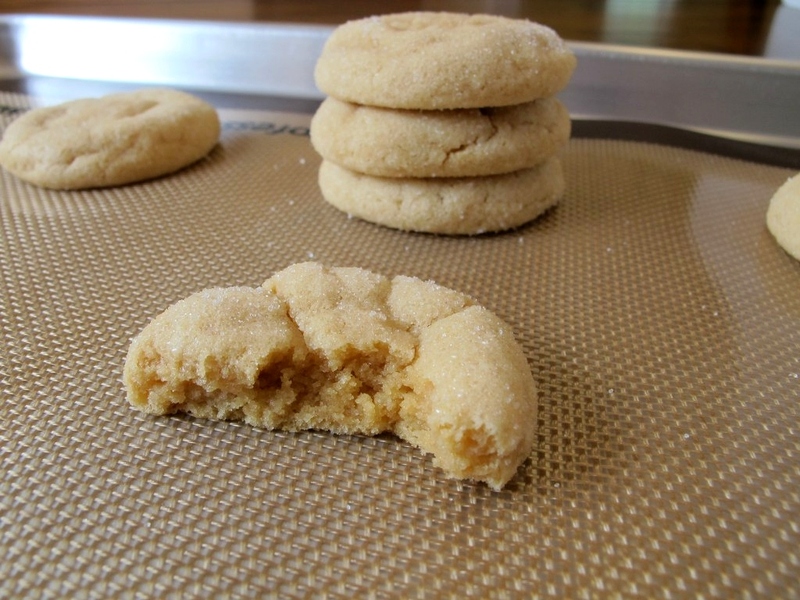 (optional) Make a crisscross pattern by gently pressing a fork down from top to bottom and then again across for that classic peanut butter cookie pattern. Bake them for 6 to 8 minutes. Let them rest for 5 minutes and then remove them to a cooling rack. Store them in an air tight container at room temperature or freeze them in a freezer friendly bag. I’m not sure if you can tell from the picture below, but this batter is very thick. You may need to give your hand mixer a break while making it and go after it with a spoon. Don’t forget to the chill the dough for three hours so that it is firm enough to roll the dough into balls. Once the dough is chilled, shape into tablespoon sized balls and then roll them in the white sugar. The white sugar coating is so pretty and adds a tad of texture to every bite. I also like to make the traditional crisscross shape on top of the cookie with a fork. No cookie crumbs here because they are mad soft! I adore how puffy they look. I’m just so in love with them! 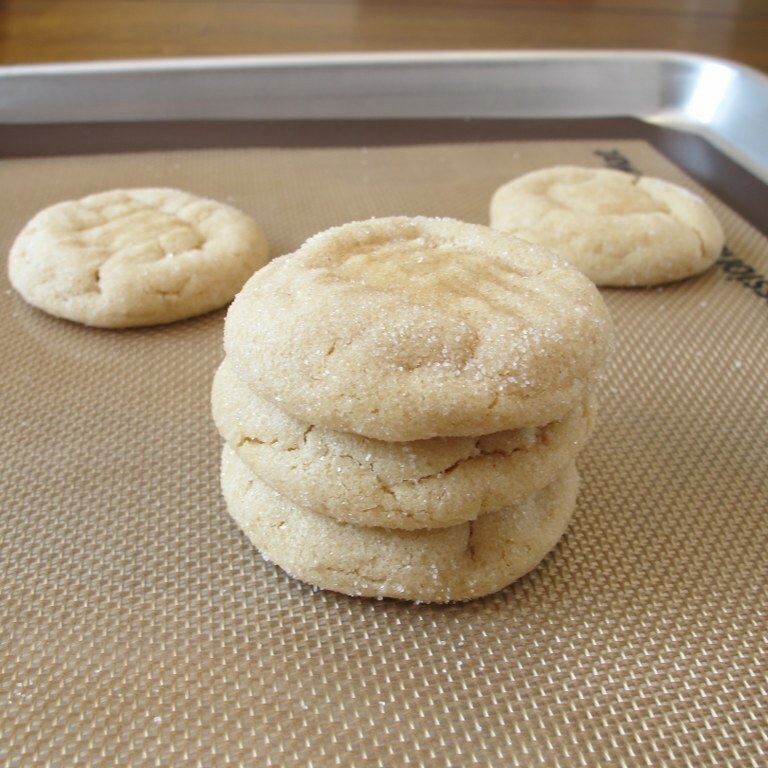 I think I’ve been making this cookie recipe for about eight years now. I’ve made it for so many gatherings with friends and family that it’s hard to keep count. I’m especially notorious for handing out cookies as gifts during the holidays and these get great reviews year after year. Note: Not a paid advertisement for Betty Crocker’s Bisquick. I’m just sharing my opinion. 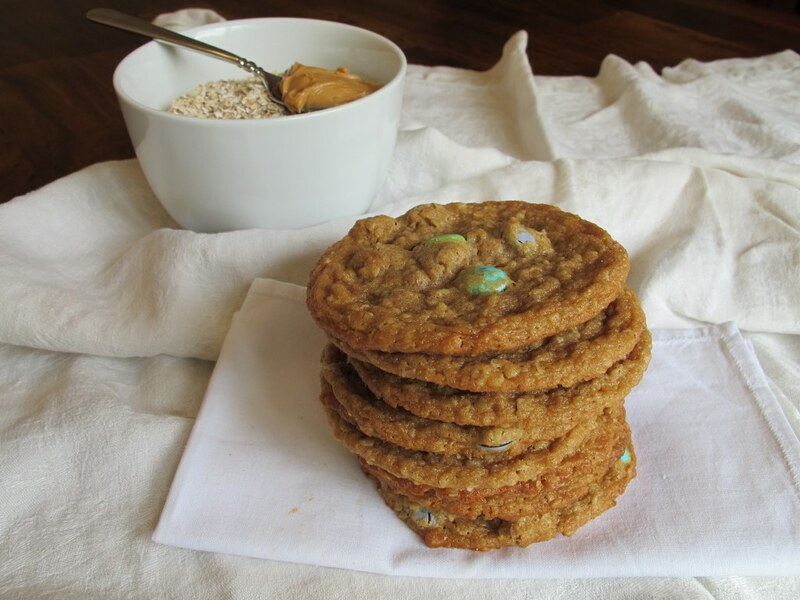 If you’re a peanut butter fan, you’d love these Peanut Butter Oatmeal M&M Cookies. 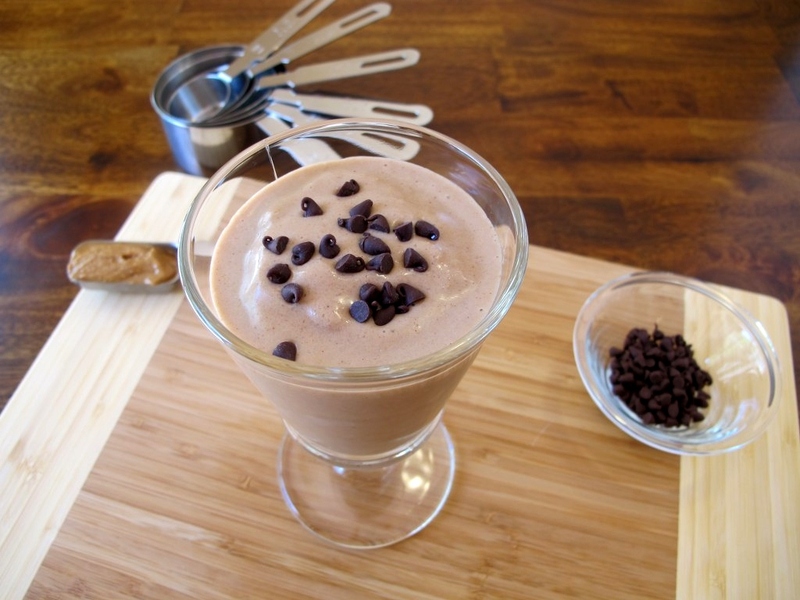 Or if you are in the mood for a delicious and refreshing shake, try my Skinny Peanut Butter & Chocolate Shake? Your cookies look so soft, I want some! I love how you chill the dough. I find that it really helps in a lot of recipes while making cookies. Not only do I LOVE peanut butter (way before chocolate on the list), but I’m loving how soft these look! Yum! These cookies look incredible! Such a unique recipe too – how fun! Oh my these cookies look beyond delicious!!! Pass me the tray!! 🙂 Love it!! I know it says to put them in the fridge for 3 hours, but I have a blast-chiller at school so I’m just wondering if you knew approximately how long it would need to be chilled for? Or at least the consistency that it should be before I start rolling them. 🙂 Thanks! I actually never heard of a blast-chiller until now and I had to look it up! The consistency of the cookie dough should be hard where you can roll them. Good luck!